April's bellabox is all about Beauty Tribe which includes an array of products to help you get ready for festival season. Every month is always a surprise and in this month's bellabox*, I was greeted with a sample selection of skincare and haircare products. It's an ideal way of trying out new products and brands before you look to purchase. The best thing of course is getting that special little surprise box in the mail every month! Subscribing to a beauty box is so easy and a fun way to keep up with the latest beauty and skincare trends. *Some of the bellabox products may vary slightly. Chella Ivory Lace Highlighter Pencil - 1.4g - RRP $24.95 - This is a very pigmented and creamy highlighting pencil which is so perfect for highlighting your facial features such as the brow bones or by simply applying to your waterline (which will look to make your eyes appear larger). John Frieda Brilliant Brunette Visibly Deeper Colour Deepening Treatment - 118ml - (RRP $17.99) - Essentially this is a full sized product which is a bonus. Simply made for brunettes who want to achieve a darker tone to their hair colour. The deepening treatment is ideal for those wanting to prevent fade and it will leave your hair colour looking very rich and healthy. And most importantly there is no ammonia or peroxide contained in this treatment which is safer for you to use in the longer term. Avene Tolerance Extreme Cream - 5ml - This is a sample sized product which is great if you are curious to see how this will leave your skin feeling. It looks to leave your with more nourished skin which is essential for winter coming. Avene Tolerance Extreme Cleansing Lotion - 5ml - Another sample sized product where you get the chance to test out the product for yourself. I found these cute sample sizes so ideal for travelling overnight. I also found this cream to be very lightweight, plus it requires no rinsing at all. Simply apply onto the face and then take a cotton pad to gently remove. It's that easy! Nutraplus Barrier Hand Cream - 10ml - Sample sized product - This hand cream will seriously look to hydrate dry and flaky hands. This is perfect for cooler seasons because after using this hand cream, it will make your hands feel smoother and softer. This hand cream doesn't have a specific scent to it which is great for those with sensitive skin. Bonus - Neuma Neumoisture Trio Sample - This trial pack contains the neuMoisture shampoo, conditioner and intensive masque. This is definitely an exciting sample I've tried out from the range but I would like to actually trial it for longer so that I can see more of a difference for my hair and skin. 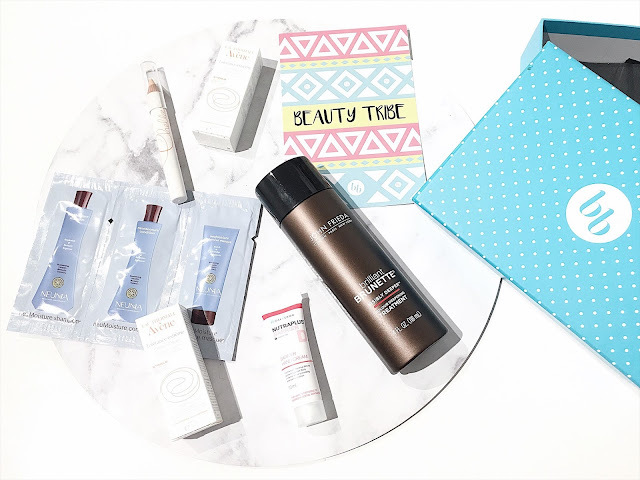 Overall, the Beauty Tribe inspired bellabox is a great box to check out if you're keen to learn more about the latest brands in the beauty market. There's a different box each month and the best part of all? - it's so fun to unbox and try out all of the samples. What did you guys think of this month's bellabox? Thank you to Bellabox for supporting me for this review. My reviews are based on my own experiences and I only recommend products that I truly believe in.